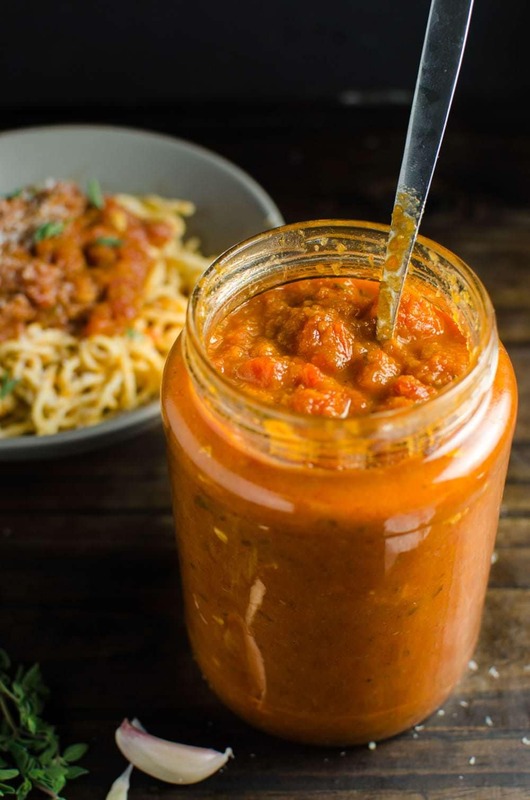 Packed with carrots, celery, zucchini, onions and tomatoes of course, this is a deliciously healthy Marinara Sauce with Hidden Vegetables that’s super simple to make and can be a starting point for a variety of recipes, and is a great way to sneak some veggies into your kids’ meals! 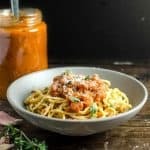 A good homemade Marinara Sauce is one of life’s simple pleasures, as well as a neat trick up your sleeve to have because there’s little else that can be as versatile as this. In addition to pasta, marinara sauce can also be a great vehicle for other recipes like meatballs, roasted meats, lasagnas, seafood etc. And of course it’s very freezer-friendly, so you could very well make extra and save it for later. Originating from Naples, Italy, marinara sauce is a simple tomato sauce that also usually incorporates garlic, onions and herbs. It’s such a deliciously simple sauce to make using ingredients that you should most likely already have in your pantry, that you’d be crazy not to have some in your fridge at all times. And I’m sure you’ve heard it before that homemade beats anything store-bought, when it comes to marinara sauce. There’s nothing wrong with store-bought of course if that’s what you like and you trust the brand. But when something is this easy to make, you’d be missing out on a good thing by not trying it yourself at home. Plus you know precisely what goes in your sauce by making it yourself. This recipe however goes beyond the basic marinara sauce as it incorporates hidden vegetables! If you have kids who are finicky about eating their vegetables, you’ll know how satisfying it is when you can sneak some veggies into them. 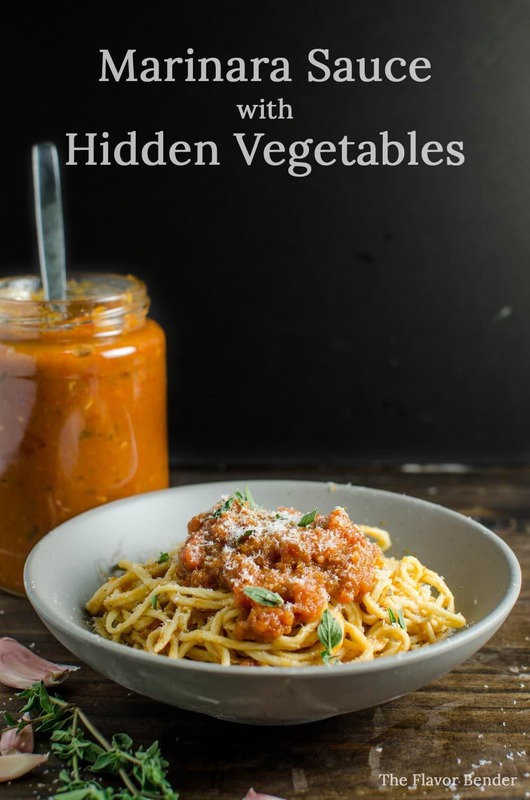 🙂 If that’s you, then this Marinara Sauce with Hidden Vegetables is going to be a life saver! Packed with carrots, onions, celery and zucchini, this is a healthy, great-tasting sauce that would be perfect on anything really. Just in the last couple of weeks we’ve had this as a base for bolognese, Meatballs, Pasta Sauce, as a dipping sauce and on top of homemade pizza! 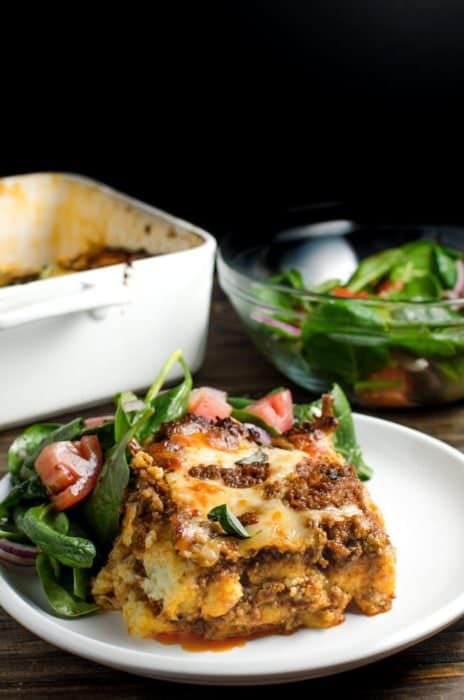 It would be the PERFECT base to use when you make this Gluten Free Polenta Lasagna Bolognese! The extra carrots will of course make this marinara sauce slightly orange in colour, not the typical red of classic marinara. So if you’re a marinara sauce puritan, look away now. 🙂 But it tastes just as fantastic, and is chock-full of veggies which you won’t even realize since all the veggies have been pureed. Place the carrot, zucchini, onion, garlic cloves and celery in a blender. 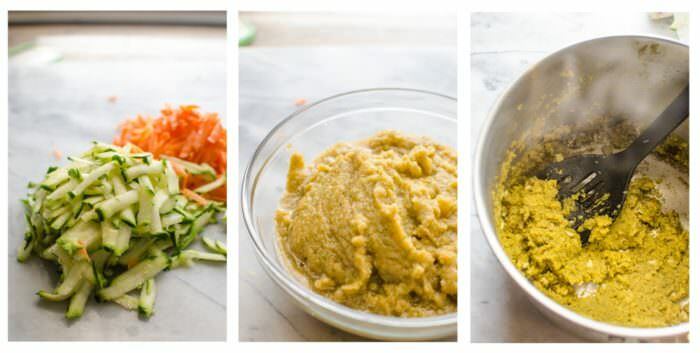 Process until you have pureed the vegetables together. Heat the olive oil in a saucepan over medium heat. When it's hot, add the pureed vegetable and cook until the moisture has evaporated and it starts to caramelize and turn brown. Add the tomato to the vegetables. (Note : if you're using whole tomatoes, crush them with your hands, or pulse them in the blender to help break them up). Add the tomato puree, vinegar, sugar, cayenne pepper and a generous pinch of salt and simmer for about 20 minutes. Add the oregano and simmer for another 10 minutes. Season to taste as you go. You can store the marinara sauce in a bottle in the fridge. Just click on the picture above, to get the recipe for Polenta Lasagna Bolognese that can be made using this recipe! If you liked this recipe don’t forget to subscribe for new (and free) recipes by entering your email address below or on the side bar (and get all these recipes delivered straight to your inbox), so you don’t miss out on a thing. You can find me on FACEBOOK, TWITTER, INSTAGRAM, PINTEREST and GOOGLE-PLUS too. Hi Dini! 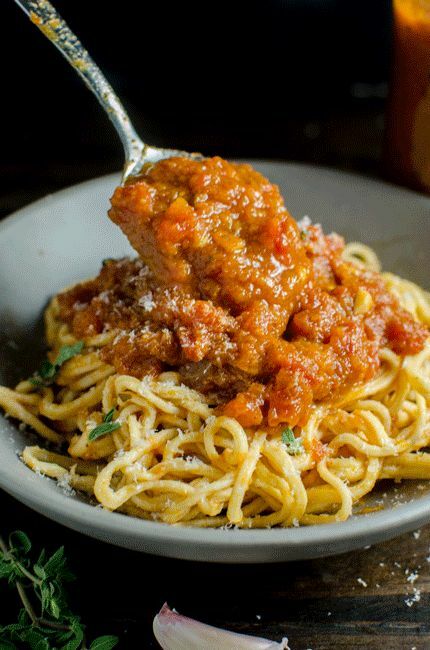 What size canned tomatoes would you use for this recipe? Thank you! Hope you enjoy the Marinara! Thank you! So about 2 x 400g canned tomatoes (am from Australia too =D). I have made your Polenta Lasagna Bolognese three times now using turkey mince, the bolognese is to die for, thank you again, please keep up the beautiful recipes! You sound just like a mom!! LOL I won’t tell if you won’t tell about the hidden veggies that is. I am sure that the added carrots made this Bolognese even more tender and delicious. We are on the same wavelength as just a few days ago I made pasta and Bolognese sauce too. Great minds think alike. Pinning, sharing, smoke signals sent! I love the idea of hidden veggies! Thank you Ilona 🙂 Me too!